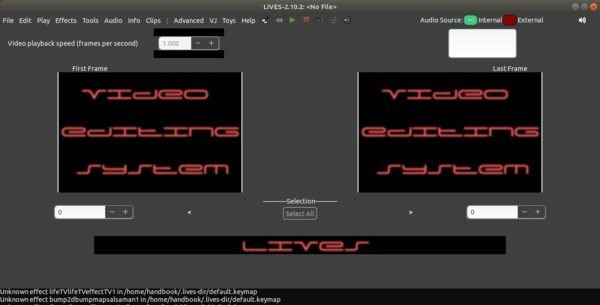 LiVES video editor and VJ tool released version 2.10.2 a few days ago. Here’s how to install it in Ubuntu 16.04, Ubuntu 18.04, and Ubuntu 18.10. Fix serious bug in lives_popen() – may prevent saving of new sets. Correctly reset video playback plugin after cancelling quick transcode. The PPA can be removed via Software & Updates utility under Other Software tab. LiVES 2.10.0, free and open-source video editor and VJ tool, was released earlier today. Here’s how to install it in Ubuntu 18.04, Ubuntu 16.04. Fix regression issues with youtube download. Ensure audio waveform is redrawn after running fade audio. Fix crash when adjusting cross-linked real time effect parameters (e.g LADSPA effects). Fix an instability caused by NULL messages in the message cache (regression). Fix possible crash when the real time effect parameters window is open during rendering. Fix hang when clearing matches in the MIDI / JS learner window (GUI issue). Improve the MIDI / JS tab in Preferences. Add pref for creating a dummy alsa MIDI output port. Add “OMC notify” to MIDI / JS mapper (MIDI -> OSC, sends USER1 notify event to all listeners). Code cleanup. Standard checkbuttons and check menuitems now have their state set in the creation function. Remove “use_mnemonic” parameter for widget functions. Use widget_opts.mnemonic_labels instead. Amend the autolives toy so it can be triggered via OSC (and move to vj menu, add startup options). MIDI channel can now used as a filter instead of a parameter to be matched. Device mappings can now be shipped with builds. Improved a/v synch with pulse audio. Correct some minor GUI issues. -noset startup option now has a permanent effect. Add -asource [internal | external] startup option. Fix bug in setting loop mode via OSC. Fix broken framerate after pause / unpause during realtime playback. For Ubuntu 16.04, Ubuntu 18.04, Linux Mint 18.x and 19, you can easily install the latest packages from the unofficial PPA. 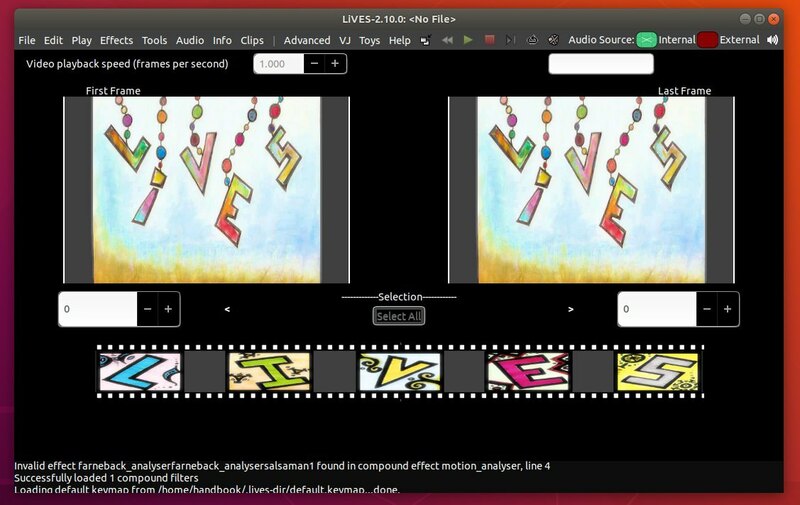 LiVES, free and open-source video editor and VJ tool, reached the 2.8.8 release today. 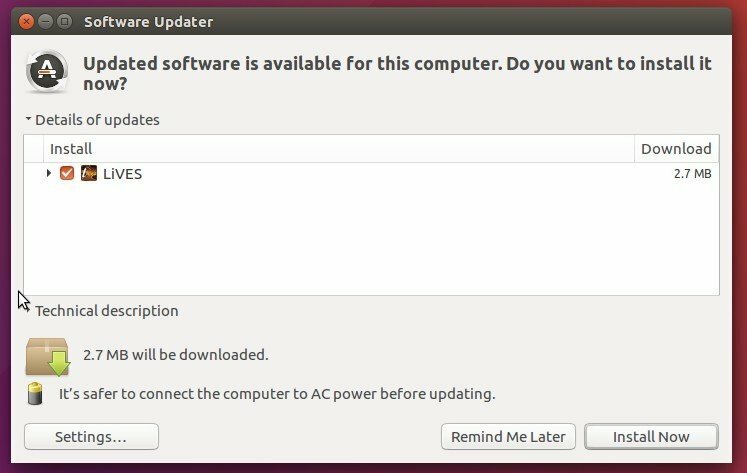 Here’s how to install it in Ubuntu 16.04, Ubuntu 17.10, Ubuntu 18.04. Fix “undo render to same clip” after rendering to selection. Set openGL playback plugin (if present) as the default for new installs. (Multi monitor support) always show dialog windows on the gui monitor. 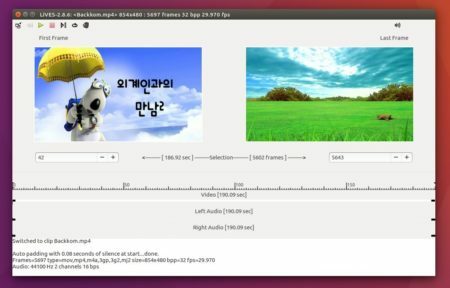 Re-enable audio recording from external sources (was inadvertantly disabled). Fix possible problems with layout reloading (regression). Increase size of playback area in multitrack mode. Increase preview window size for video part open. Add quick transcode menu option (beta). Keep showing framebar when not playing (can be overriden in prefs). Show audio source in framebar (overridden by pref). Optimise redrawing of audio waveforms in clip editor. Implement external audio trigger for recording. Scale many widget sizes based on screen resolution. Fix crash in multitrack parameter adjustment for effects with repeated channels. Ctrl + mouse scroll can be used to zoom in / out in multitrack. Disable ctrl-q (quit) accelerator during playback to prevent accidental triggering. A new update of the free and open-source LiVES video editor and VJ tool was released a few days ago with bug-fixes and some improvements. 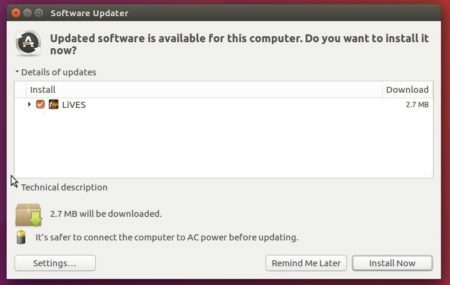 Here’s how to install or upgrade it in Ubuntu via PPA. Remove glad.h dependence on khr. Prompt for clip name when rendering to new clip. Increase default frame size to 1024×768 for new installs. 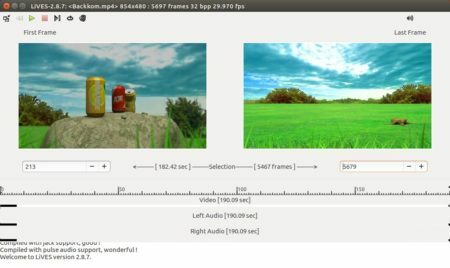 Allow override of frame size when encoding to ffmpeg / h264 format. Fix breakage in the threaded progress window. LiVES video editing system and VJ tool has reached the 2.8.6 release earlier today with performance improvements and various bug-fixes. Remove dependency on (deprecated) GLee. Show audio as volume levels in Clip Editor. Performance improvements for multitrack playback. Ensure that timeline track backgrounds are painted in multitrack (regression). Properly expand text width in the message info window. Improve zoom in multitrack (zooms around cursor rather than screen center). Prevent annyoing focus stealing when mt is backed up in the background. Fix broken audio fade in/out (regression). Fix external window capture (regression). Fix crash in palette conversions. Fix compilation issues with liblives scripting engine. Fix for keys being in multitrack fullscreen preview. An unofficial PPA has made the packages for Ubuntu 16.04, Ubuntu 16.10, Ubuntu 17.04, and derivatives.